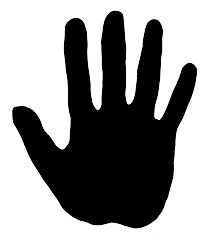 The human body is capable of many things, it runs like a well-oiled machine the majority of the time. Still, there are always times where odd occurrences happen, and it’s possible that at least once in your life you’ve experienced an odd twitch of your eyes. 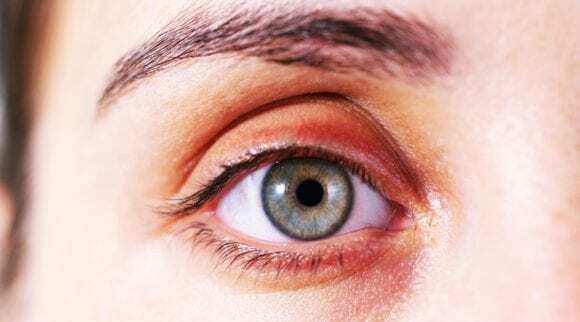 This most commonly happens in one eye at a time, and it feels strange especially since there doesn’t appear to be a direct answer to what causes eye twitching. 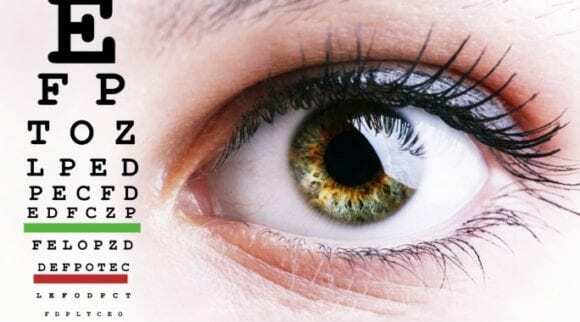 Many can shrug this little twitch off, but for those of you who are curious to learn why your eye is twitching and how to stop eye twitching, then you should take a look below to discover what might be the cause of your eye twitch. If you’re asking yourself why your eye is twitching, then you should know that this strange occurrence actually has a technical term meant to describe the action itself. Myokymia, the medical term for eyelid twitching, is the result of spontaneous involuntary twitching of a bundle of nerves or muscles in and around the eye. Eye twitching is most commonly found in the lower eyelid of the eye, but that doesn’t mean that it can’t occur on the upper eyelid as well. 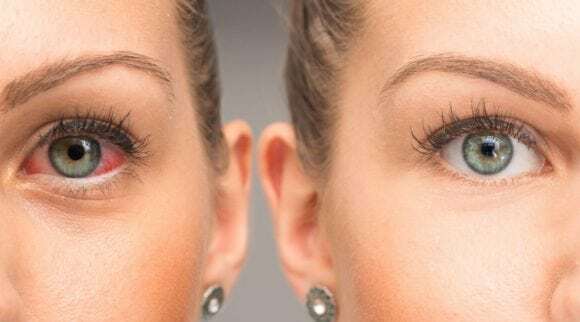 In some cases, it can happen in both upper and lower eyelids. Despite what many might think, there are different types of eye twitching. It’s not one size fits all. Your eyes have a variety of reasons for twitching, and we’ll get to what causes eye twitching. But for now, let’s take a look at the different types of eye twitching you might be suffering from. When wondering why your eye is twitching, you might be surprised to know that the majority of reasons for your eye to be twitching are everyday stressors. This is a type of eye twitch that is minor and goes away without any intervention from a doctor. It usually lasts a matter of minutes or hours, but the twitching can go on for a few days. It’s most commonly associated with a trigger like stress or ingesting too much caffeine. If you’re asking yourself, “why is my eye twitching?” and it doesn’t seem to fall into the category of a minor eye twitch, then you should take a look at Blepharospasm. Despite being a long word, it actually means abnormal blinking. This is eyelid twitching that is a often a result of dry eyes but can also be found in Tourette’s syndrome, among other neurological conditions. It’s called Benign Essential Blepharospasm because it is not life-threatening in nature. While the essential is labeled because the cause is considered unknown, there are things you can do to reduce the likelihood of eye twitching. 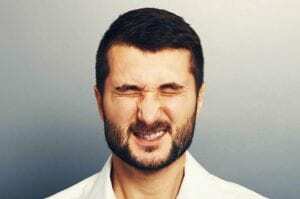 Benign Essential Blepharospasm is an involuntary twitching that can revolve around one or both eyes and is often first noticed by the increased rate of blinking. This type of eye spasm can result in an involuntary shutting of your eyes. 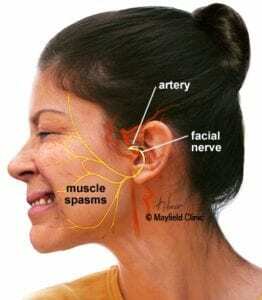 If the two reasons above haven’t quite fit the range of your symptoms, then compare your symptoms with Hemifacial Spasm. 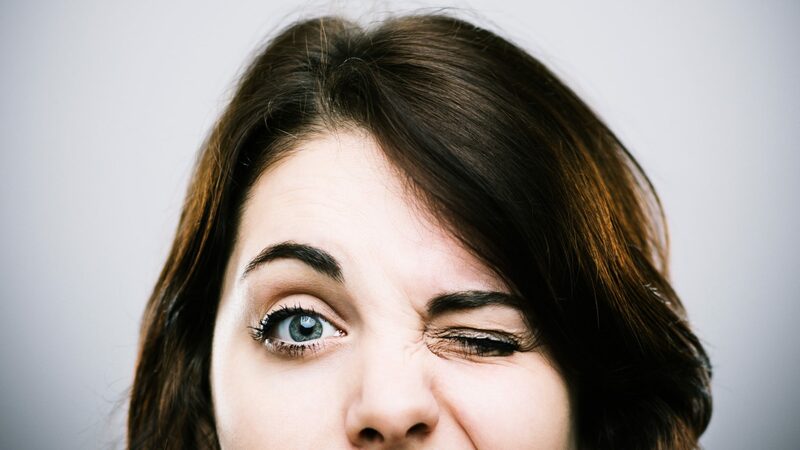 A violent form of eye twitching, this condition can sometimes involve the entire side of your face. A Hemifacial spasm is a severe form of twitch that can affect your daily life, interfering with speaking or eating. It is caused by facial nerves that have become inflamed and this can be a symptom of a serious neurological problem. What causes eye twitching in Hemifacial Spasms might be harder to determine at first glance, but you should know that the condition can be relieved with either muscle relaxers or botulinum toxin injections to prevent the eye and facial muscles from spasming. There is also a neurosurgical procedure called microvascular decompression, which is used to relieve facial spasms. 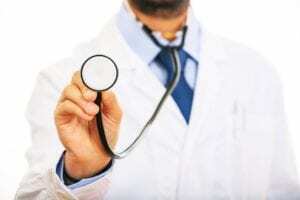 Though it has a good success rate, it is a neurosurgical operation and carries a higher chance of complications. While the majority of us will only have to deal with minor eye twitching that sporadically comes and goes, the majority of people don’t know what causes eye twitching for themselves. There are ways to find out what might be causing your individual case of eye twitching, so if you’re suffering from from any of the below issues you might want to look into a few lifestyle modifications. The most common reason for what causes eye twitching is stress, and stress can play a big part in our overall health, so it shouldn’t be a surprise that it affects the nerves and muscles around the eye just as well as it affects other areas of our bodies. Tension builds up over time and results in strained muscles and undue pressure on nerves, both of which can result in eye twitching. There are many reasons you might have dry eyes, but the fact is that having less moisture in the eye can lead to an increase in eye twitches. Dry eyes expose you to an increased risk of infections along with symptoms like light sensitivity and red, itchy eyes. 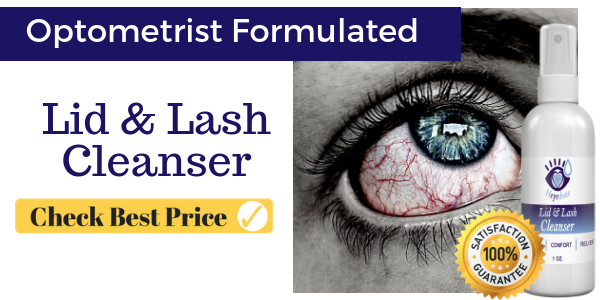 The best course of treatment so as to not let dry eyes be what causes eye twitching for you is to reduce activities that cause your eyes to dry out. 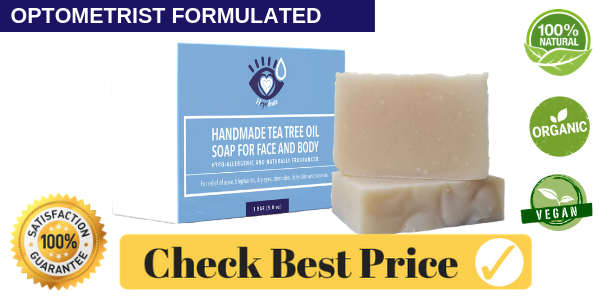 Dry eye itself is caused by the decreased production of our own natural tears, and there are over the counter products that you can use to supplement your bodies normal tear production if this is a chronic condition for you. 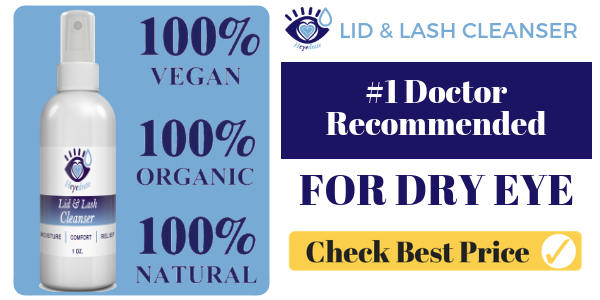 Keep in mind that there might be an underlying cause for the dry eye besides just fatigue or environmental issues, as certain diseases have been known to cause dry eye. A common occurrence when discussing eye twitching is realizing that it’s once more allergy season, a common irritant to eyes and noses alike. Allergic reactions play a large role in the health of our eyes. Allergies can play a big part in the cause of dry eyes, and when you combine the natural reaction to an irritant like allergies alongside the dry eye, then you could be looking at the perfect storm for an eye twitch. There are things you can do to reduce the effect of allergies on yourself, especially if you can’t remove yourself from the allergen itself. Drinking alcohol, in and of itself, can be what causes eye twitching as it causes our eyes to become dry. Dry eye is one of the leading reasons to develop an eye twitch and monitoring your alcoholic intake will ensure that your eyes aren’t put under strain and keep you healthier in the long run. If you suspect that your drinking might be causing your eye to twitch, then its recommended that you keep a record of when your eye begins to twitch. Linking the two might help you understand if alcohol has been an instigator or if it is something else. Caffeine has long been the go-to method to keep us awake, increase our ability to work longer while also being more productive. It’s also used as a coping method for stress itself, which can only exacerbate what causes eye twitching. The use of caffeine comes with its own risks. Despite everyone having a different level of tolerance to caffeine, the stimulant itself can have lasting effects on more than just your eyes, and you should be aware that the over-consumption of caffeine, no matter its source, could be what causes eye twitching in you. A good counter to drinking caffeine is to drink water. It will not only keep you hydrated, but also reduce the likelihood of over-consuming caffeine. Straining our eyes can result in a variety of conditions and it’s also a part of life. Many of the causes of eye strain are a part of our daily lives. The use of computers or smartphones has steadily increased the strain on our eyes. Blue light has played a big part on this as it’s actively admitted from our screens in an effort to make it easier to read in low light situations. The counter is that it strains our eyes, eye strain puts pressure on the nerves and muscles surrounding the eyes and can cause them to twitch. Reducing your screen time or taking breaks is advisable in order to reduce your chances of developing eye twitching. Although the majority of what causes eye twitching are listed above, there are a few medical conditions that can actually be to blame for it. This condition of the eyelid is caused by bacteria, though there are instances where medications have caused the condition. It causes swelling of the eyelids leaving them red and irritated, and this swelling can lead to spontaneous eye twitching. Known as Conjunctivitis, or pink eye, this is the inflammation of the part of the eye known as the conjunctiva. The conjunctiva is a clear tissue that rests over the whites of our eyes and resides inside of our eyelids. Pink eye is a common occurrence with children and highly contagious in it’s viral form. 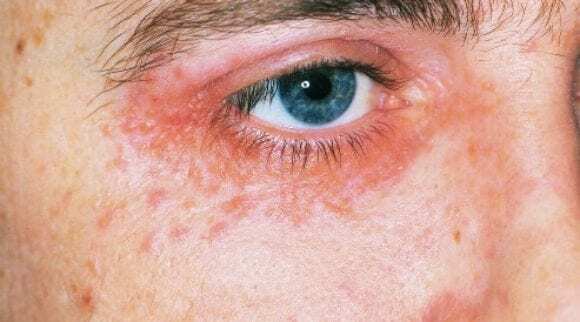 There are actually different types of conjunctivitis, and the infection can be bacterial, viral or even a fungal infection. A little-known fact is that it can also be caused by an allergic reaction to irritants such as pollen. Knowing what causes eye twitching can help to reduce the instances of it occurring. If it’s something environment-related, then you can make adjustments to your environment. Changing your diet could also reduce the number of times you are affected by the spontaneous eye twitching. If you’ve found your answer above, then you’re most likely wondering what you can do about it. 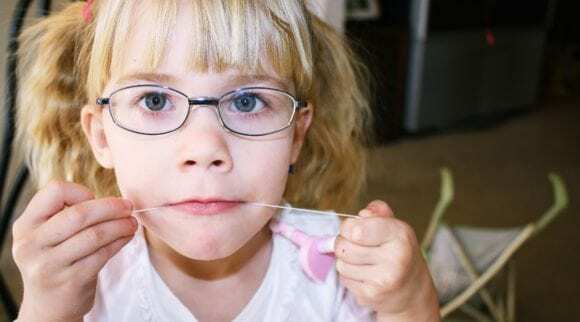 We’ve covered a variety of reasons why your eye is twitching, but now we’ll take a look at how you can make adjustments to those instigating factors. Stress is one of the biggest causes, and this could be what causes eye twitching for you. If you’re feeling stressed, then there is a good chance that you’re going to experience an eye twitch somewhere along the way. That doesn’t mean that if you feel fine you won’t have one. They are spontaneous muscle and nerve reactions, but stress can instigate an instance of eye twitching. 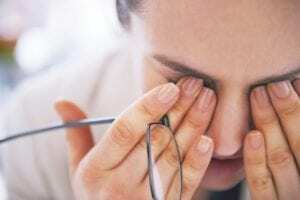 When it comes to stress-related eye twitching, there are a few things you should keep in mind, one being that stress often comes from more than one particular stressor. Relieving one stressor might help, but there could still be other lingering stressors. You might have to deal with an annoying twitch or two until you can learn to relax. What causes eye twitching is oftentimes our inadvertent nature of not taking care of ourselves. You can think of an eye twitch as a message from our bodies that it might need a break. Even if you just have five minutes to spare, taking those five minutes for yourself to regulate your body could mean that the rest of your day goes better. Decompress, take a few deep breaths, and know that whatever stress you’re feeling in that moment isn’t going to last. Nothing is permanent and with time things will settle, keep that in your thoughts as you deal with the stress in your life, and you’ll be well on your way to reducing your chance of developing an eye twitch. You’ve probably heard the term, “everything in moderation,” and that can be applied to pretty much anything we come across in our day to day lives. When it comes to stopping what causes eye twitching, you need to keep that running through your head. Caffeine and alcohol are both substances that our brains can get addicted to, they have a stimulant quality that our brains come to rely on. This chemical need for a substance is damaging to us on a whole, although some would consider alcohol to be far worse than over-consuming caffeine. However, the fact is that they both do damage to our bodies, just in different areas. 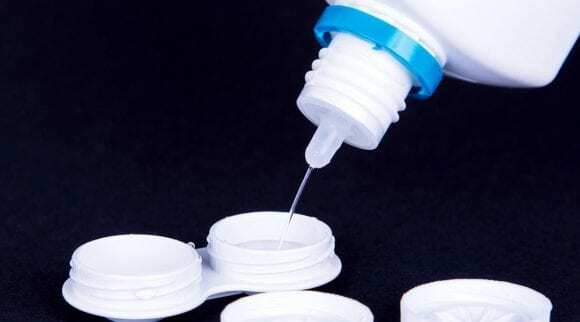 When applied to our eyes these substances overwork our brains and actively cause dry eye. When it comes to caffeine the majority of us are hooked, and you can’t start your day if you don’t have at least one cup of coffee. In the U.S. the majority of Americans don’t just have coffee in the morning, but throughout the day as well. This over-consumption of stimulants has lasting effects on our brains as well as our eyes, and it can be what causes eye twitching because it leads to chronic dry eye. The daily recommended consumption of caffeine is 400 milligrams or less. For those who don’t know what that means, it equates to four cups of brewed coffee or two “energy shot” drinks. If you’re someone who likes having a drink or two with friends then you most likely won’t have to worry about this, but for those who like to have wine or beer at home, it’s easy to have a bit too much. Alcohol has lasting effects on our brain, liver, and eyes. Alcohol dries out the eyes, causing them to become red or bloodshot, and this can have the detrimental effect of tightening the muscles of the eye which can be what causes eye twitching for you. The daily recommended intake of alcohol is one drink for a woman and two drinks for men. This is what the CDC considers a moderate amount and the restriction is per day not per week. 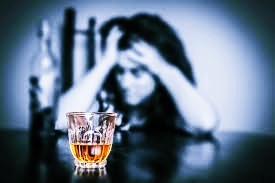 If you’re over-consuming alcohol on a regular basis, you may need to seek treatment as alcohol is an addictive substance. While alcohol and caffeine consumption are easily reduced and stress can be managed, eye strain is something that we’ve all faced. It’s a common occurrence in a digital age, but many don’t know what causes it or why. If you’re asking why is my eye twitching, then you should take a look around you and pay attention to what devices you might be relying too heavily upon. Digital devices that we use like smartphones, tablets, and computers all use a digital screen that emits a type of light called blue light. Blue light is emitted from these devices in order to make viewing our screens easier, but the same thing that makes these devices readily available is actually harmful. Blue light although a naturally occurring form of light that we would get from the sun, but with how often and how long we use these devices, it is too much for our eyes to handle. This overabundance of blue light strains out eyes and is oftentimes what causes eye twitching as it dries them out, forcing our muscles to tighten as we try to overcompensate in order to continue using our devices. Make sure to get a pair of blue light blocking glasses, like those from Eye Love, to decrease your blue light exposure. The option of reducing certain stressors is one of the best methods of reducing the likelihood of experiencing eye twitching, however, in the cases of Blepharospasm and Hemifacial Spasm, there are other methods of relieving eye twitching. Botulinum toxin and surgery are options that may be considered. Everyone has heard of botox, but most of those who have don’t realize that it’s actually referred to as Botulinum toxin. Botulinum toxin is a form of bacteria and like other forms of bacteria in large quantities can be poisonous, but before you swear off the idea of using it you should know that only a lower, weaker form is used when it comes to treating eye twitching. There are a few things you need to know when considering Botulinum toxin injections to relieve what causes eye twitching in yourself. Unlike surgery, Botulinum toxin injections can be done repeatedly and as needed, usually lasting anywhere from three to six months at a time. 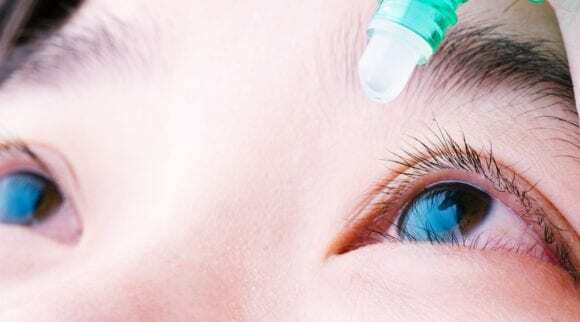 The injections relax the muscles in the eye and prevent certain nerve signals from misfiring. This prevents eye twitching as the nerves and muscles can’t contract. When considering Botulinum toxin injections as a solution to what causes eye twitching, you should be aware that although it is less invasive than surgery, the injections do still carry some risk. The injections themselves are done with a very thin needle, and small doses of the toxin are injected above and below the eyelid. Bruising is a typical side effect. Bruising or redness to the skin. A more serious side effect from using Botulinum toxin injections is Ptosis, which is the drooping of the eyelids. This can make it hard to see as the eyelid impedes your vision. However, this side effect should go away just like the beneficial qualities once the botulinum begins to wear off, and it’s a very rare side effect anyway. More invasive than the Botulinum injection is the option of surgery to combat what causes eye twitching. The procedure itself is a surgery called a Myectomy, which removes a portion of the muscle in the eyelids. 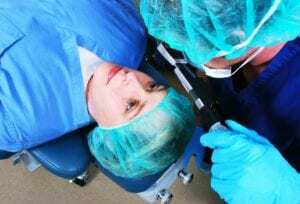 Removing sections of nerves that misfire is also a part of the procedure, and the removal of this type of tissue prevents further eye twitching. 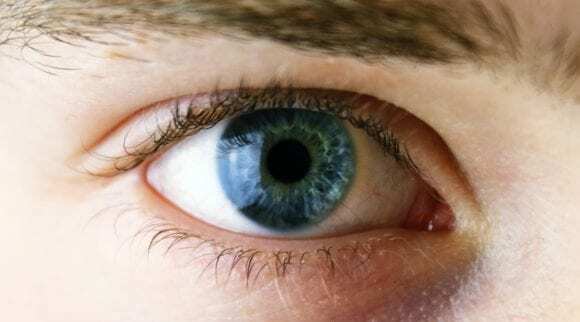 Eye twitching is brought on by the contractions of a muscle or the misfiring of nerves. 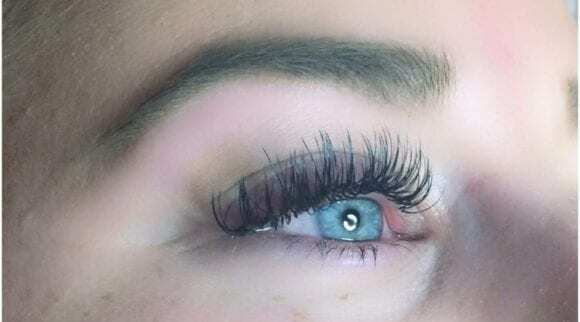 The majority of these side effects relieve themselves after recovery, but there are some side effects like chronic eyelid swelling that could potentially become permanent, just like the loss of sensation in the surrounding tissues, most often in the brow. Surgery is commonly used as a secondary means to treat what causes eye twitching. but t is the go-to method for those who no longer or have never reacted to Botulinum injections. Although the majority of eye twitching falls under the category of a minor eye twitch, just because you know what causes eye twitching doesn’t mean that you should scoff at the idea that there not be something else wrong. Knowing when to see a doctor for symptoms of what causes eye twitching is important, and you should be paying attention to what your body tells you. One of the biggest hazards of having prolonged eye twitching is the possibility of it being a symptom of a neurological issue. Changes in the eyelids are normally one of the biggest signs that something might be wrong. The loss of control over facial muscles is a common occurrence in signs of a stroke or other neurological disorder. You should seek out a medical professional when your symptoms of what causes eye twitching fall outside of what minor eye twitching symptoms entail. Remember that eye twitching is normal unless it doesn’t go away. 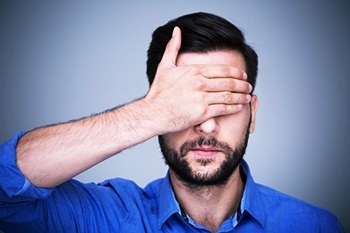 If you’ve been plagued with the question “why is my eye twitching?”, then reading this article should have given you a better insight into those spontaneous twitches. It’s up to you to discover which irritant is most likely affecting you. Whether or not it’s caffeine, alcohol, or even a lack of sleep, there are things you can do to help relieve the tension in your eyes. Relieving undo pressure of the muscles and nerves of your eye will prevent minor eye twitching. If you’re experiencing prolonged bouts of eye twitching, then consider seeing an eye doctor. 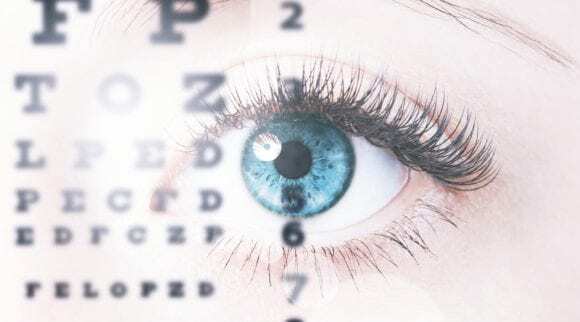 An eye exam can diagnose any eye condition you might be suffering from. Remember a little eye twitching is normal; the contractions of muscles and nerves is similar to those of well-worked muscles, and you need to treat them like you would a strained leg muscle. Rest your eyes by taking a break from digital devices and by reducing the use of caffeine.